Last November 23, Chef Fernando "Fern" Aracama did a cooking demo at the Maya Kitchen entitled- Memories of Holidays Past. He graciously shared his recipes and I am in turn sharing it with my readers as an early Christmas treat. The recipes he shared are good for our Noche Buena table. 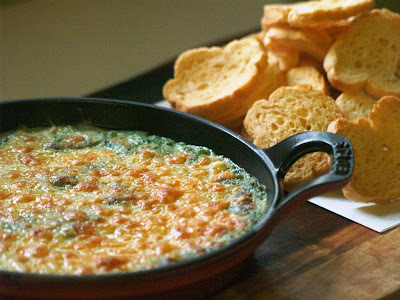 His Malunggay & Cheese Dip recipe is not only easy to make but is very healthy also. I'm sure even kids will love this. 1. In a food processor bowl: Put in the blanched and chopped malunggay and spinach. Process to chop further. 2. Add in the heavy cream, cream cheese, ground pepper, onion powder and sea salt. Process until the mixture is smooth and well blended. 3 Spoon the mixture on to a bake proof dish and spread out evenly. Top with grated cheese and broil in the oven or an oven toaster until the cheese is hot and bubbly. 4. Serve with crostinis or warm toasted bread or crackers. I will bookmark this one. I have a picky eater husband and I'm always trying to figure out ways to make him eat his veggies.